When I pull out the "Easter Decorations Box" my kids are always more excited about the bucket of plastic eggs than anything else, and the eggs become our most used "toy" for the next few weeks. Yesterday we came up with a fun little game to play with them. 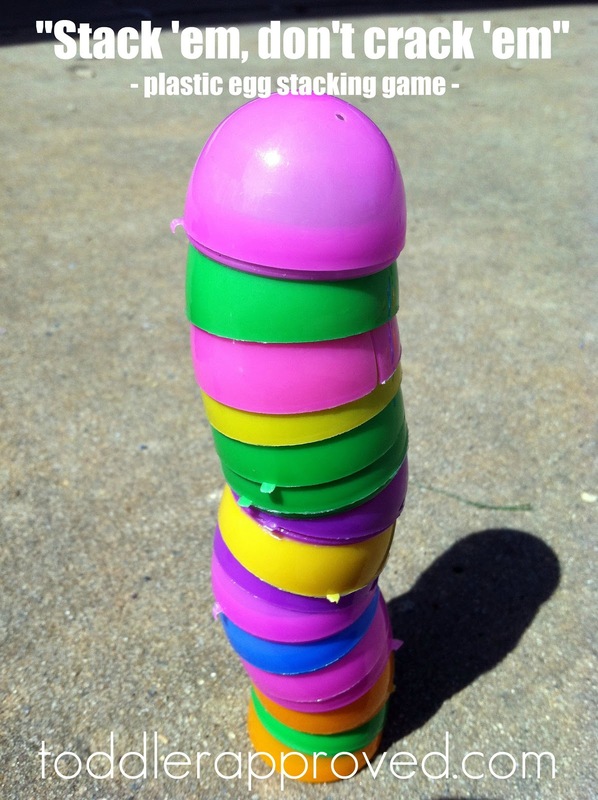 Dump out and open all of your plastic eggs. Take turns stacking an "egg half" on top of the existing pile. Continue until your your stack "cracks". Repeat and repeat and repeat . . . (I'm always amazed at how the simplest game seems to keep a child's attention the longest). This game can easily be modified to focus on different concepts: sequencing, counting, color identification, etc. 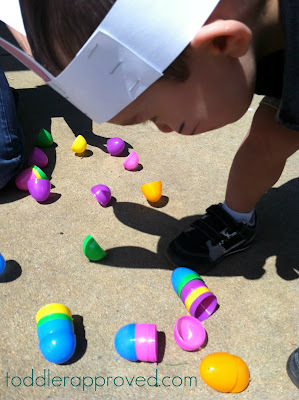 Decide on a color sequence to follow as you stack, create several stacks using only one color for each and see which color you can pile the highest, count the egg halves as you go, pick or roll (with dice) a number and put on that amount of egg halves on top. How would you play this game? 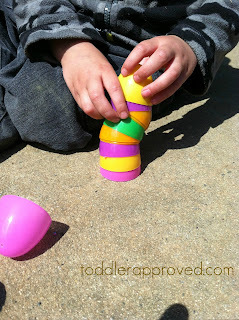 What other ways do you incorporate plastic eggs into learning and play? Stopping by from the Kids Co-op! I think the simpliest games are the best because usually THEY came up with them! Us adults can be to complex sometimes, don't you think?